Baobab Youth Performers brings together students from many schools in the Ottawa area to drum and dance the music of Ghana, West Africa. 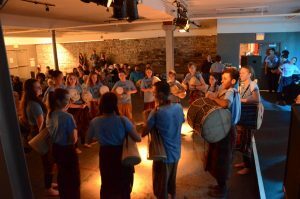 Founded in 1995 by Artistic Director Kathy Armstrong, the group is named for a resilient African tree. To see a short slideshow of the group created by Carleton University Journalism student Jill Krajewski click here! 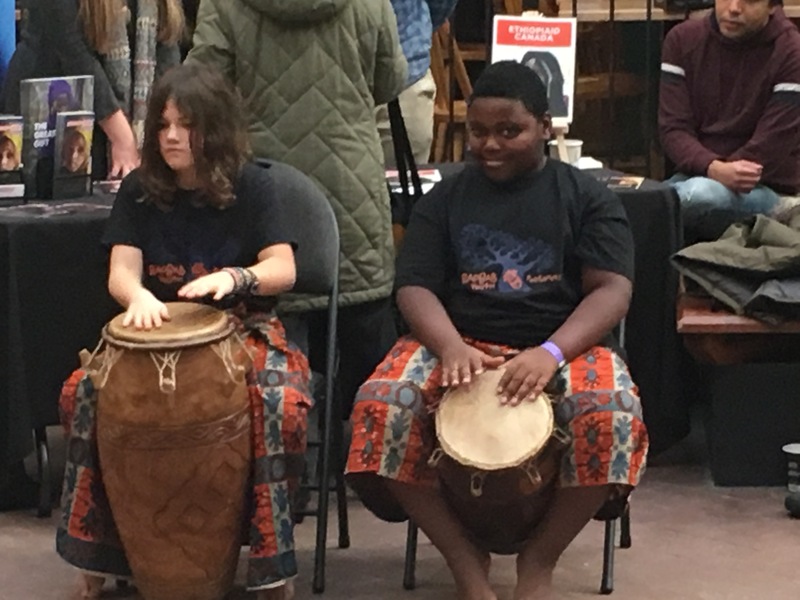 This educational arts program offers students an opportunity to interact with each other in non-verbal and creative ways, helping them to explore their relationship to others and the surrounding world. Leadership skills are developed through mentoring opportunities and public performances. The group has given many vibrant performances in settings such as the Ottawa Folk Festival, The National Arts Centre, the Black Sheep Inn and at numerous University, school and community events. They have toured through Ontario, Alberta, parts of the USA and to Ghana. Baobab Youth has also been featured several times on radio and television. 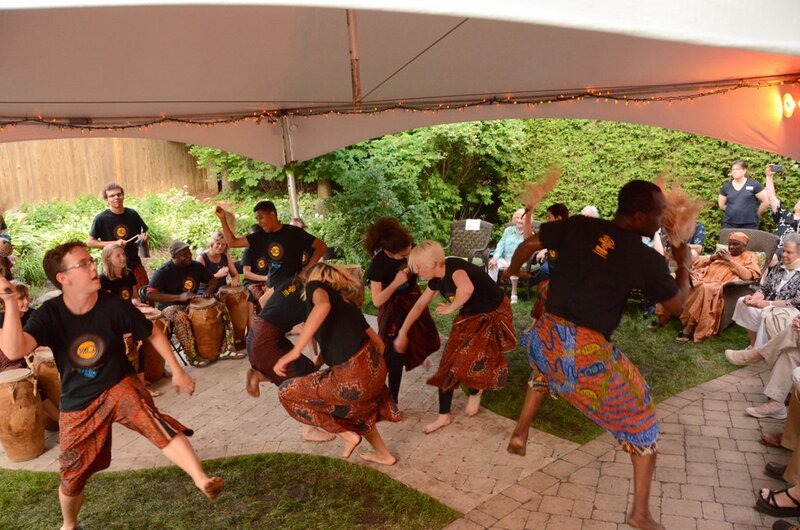 As part of the larger Baobab Tree Drum Dance Community, the youth engage in activities that strengthen individuals and communities both here in Canada and in Ghana, where they have an ongoing relationship with the small village of Dagbamete. 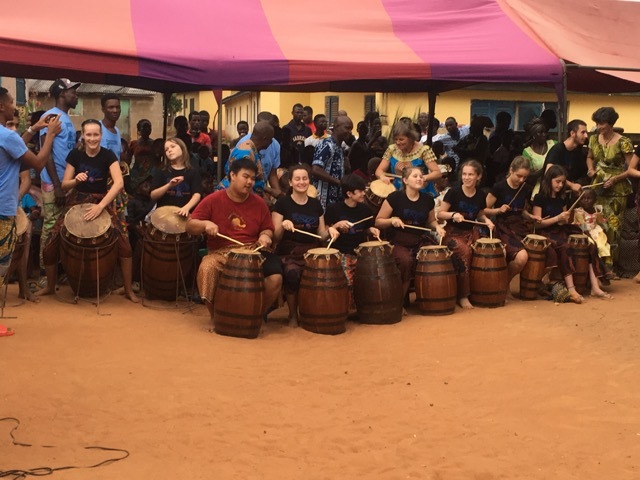 The group has toured to Ghana three times for an artistic and educational journey, most recently in the summer of 2017. Find out more!